Shady Ladies porch shades add the final touch to your sun porch or screened porch . They allow you to block out the glare and heat of the sun while letting the cool breeze through. Wood offers high insultating value which helps to keep your porch considerably cooler. Made only of the finest North American Basswood they are easy to install and simple to operate. 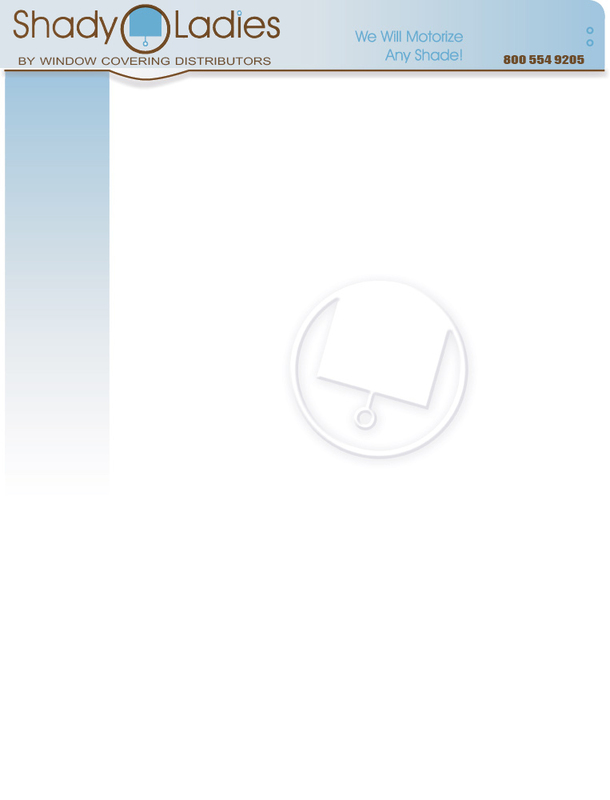 Our acrylic plasticized stains contain fungicide to help prevent mildew. These stains allow for year-round outdoor use as well as indoor applications to enhance the look of any porch or room in your home. Standard features include: Sturdy patented fisherman seine twine; heavy, steel plated heardware, cord locks and pulleys, acrylic plastized mildew resistant stains; wind cords to guard against weather damage. Custom color matches are available. 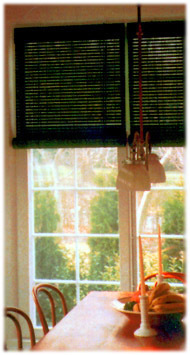 Standard or Custom Shades- The 7/8" square edge slats on these shades allows for adequate ventilation and still permit just a touch of sunlight. An optional 6" valanace is available. The "Standard" comes in specific sizes. The "Custom" is the same shade but is available in custom sizes to fit your exact location. The Rayn-Tite outdoor model offers 7/8 inch beveled overlapping slats that force the rain to run off the outside of the shade, providing the ultimate in weather control, and enhanced privary at the same time. A 6 inch valance is included to hide the hardware and provide the perfect finished look. The Style-Lite outdoor model offers 3/8 inch square edge slats, providing adequate ventillation with just a touch of sun light when lowered. Deluxe - Manufacturered with 1/4" square edge slats and woven together with our sturdy "lock-twist" weave of fisherman's seine twine this shade has a very unique feature, when down it filters out the suns rays but still allows you to see out. The Temlite indoor model's upward slanted 3/8 inch beveled slats give a soft, diffused, and flattering effect to your home or office. The design provides light and air, while keeping out the extreme heat or cold. It provides soft light without sacrificing privacy. Available in both stain and enamel finishes, they may also be custom painted to match your furnishings. A 6 inch valance is available for shades being mounted without other window treatments. A PORCH SHADE SAMPLE KIT containing samples of all the different styles and colors is available for only $15.00.